It might be easy for me to write this because my daughter is a great eater. She almost always eats well at a meal and will eat almost anything I give her. 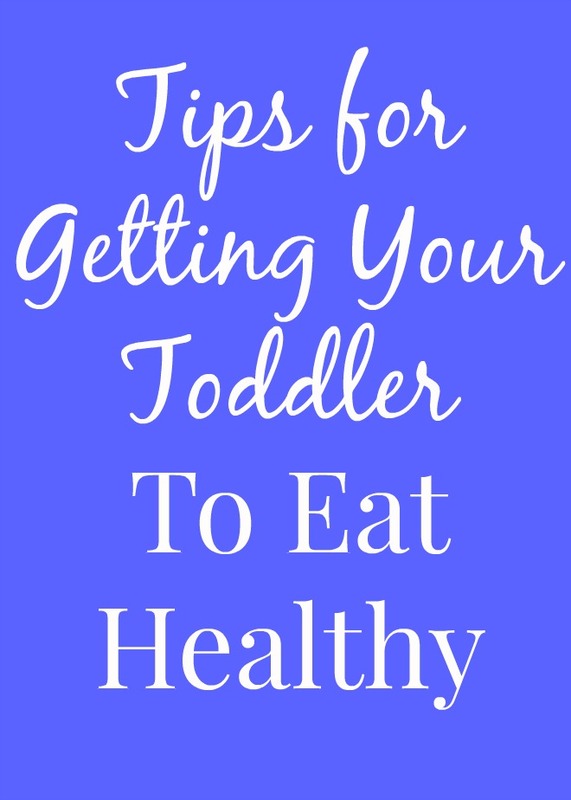 We have definitely had some times of struggling though where I had to learn some tips for getting her to eat well. As a dietitian, what my daughter eats is very important to me. I do let her have some treats and unhealthy foods but it is in moderation. When it tastes good, you have to close your eyes and really enjoy it! I focus on an overall nutritious diet with whole-grains, fruits, vegetables, protein and whole-milk dairy. We don't give her much juice and to be honest, she doesn't drink milk because she refuses to. She is growing healthy and strong so I know that she is doing a good job of eating well. If Adalyn sees me eating a piece of candy, of course, she asks for that too. Why she sees me having carrots for a snack, she asks for that. Parents need to set a good example for their kids. At dinner, when we have a big salad, I talk about how delicious all of the vegetables are. That's not to say that we don't eat pizza and rave about that too. Just talking about nutrition and healthy foods to your kids can help get them excited about them. Adalyn is only two so there is only so much that she can do in the kitchen but she loves to stir, sprinkle in spices, pour on dressings and add handfuls of ingredients to a bowl. She gets excited when she does this and is more likely to like the food if she helps out making it. Adalyn says "Give me all of the olives!!". Troy and I both have foods that we do not like. He doesn't like olives or raw carrots. I do not like cilantro. We make an effort not to tell Adalyn about our dislikes. We want for her to try all foods on her own and decide if she likes them. By the way, she loves all three of these foods that we do not like, especially olives. We grow our own tomatoes and bell peppers and my parent's farm has trees full of apples, pears, peaches and vines of grapes. Adalyn loves picking her own produce and will eat tons of it if we let her. Something about this is so fun for kids. Going to the farmer's market is also really fun for kids. Let them find a new-to-them fruit or vegetable that they want to try and buy it. Does this one surprise you? I know people who were deprived of certain junk food as a child which can lead to binging on these foods in the long run or even having an eating disorder. I want Adalyn to have a very healthy body image and have a healthy relationship with food. Therefore, cookies, cake and chips are okay in our house- sometimes. For a treat, we do not say no to cake at a birthday or fries at a restaurant. We just focus on overall healthy eating which works well for us. Adalyn takes a couple of different gummy vitamins and loves them. We talk about what they are for. For example, fish oil gummies I say help you to become smart (AKA brain health). Probiotic gummies are to help you have a healthy belly. I never tell her that vitamins are candy because I think that it can be dangerous to confuse kids that something that is like medicine is candy. Little bits and pieces here and there about nutrition information can really help to teach kids nutrition. I love the SmartyPants kids probiotics for Adalyn. They contain multi-strain probiotics and prebiotic immune support. The forms of probiotics that they contain are in spore form which can stand up over time, different temperatures and harsh stomach acids. These probiotics are beneficial for digestive and immune health. They are made with organic and fair trade sweeteners, are vegetarian, have no artificial colors, flavors, or preservatives and are gluten-free and allergen-free. Always read your labels says Adalyn. Oh yeah, and Adalyn loves them! That's the most important part. She looks forward to taking her probiotics everyday and I feel good that we are giving her a nutritious supplement. They also have SmartyPants adult probiotics which I like taking for gut health. Disclosure: This post is sponsored by SmartyPants. All opinions are my own.